This card combines sacred artwork with the prayerful, comforting words of the Psalms. 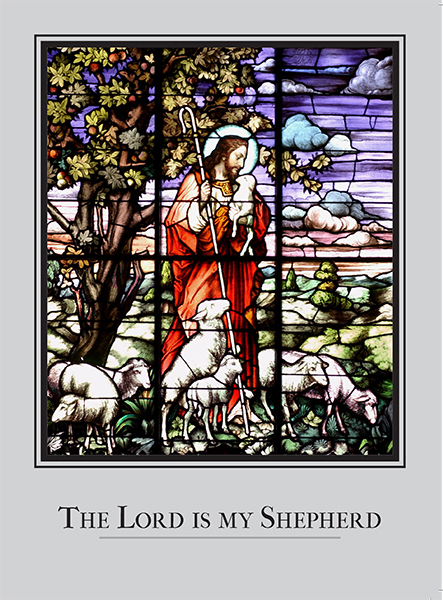 Jesus, our Good Shepherd, is shown in vibrant stained glass on a light gray background. 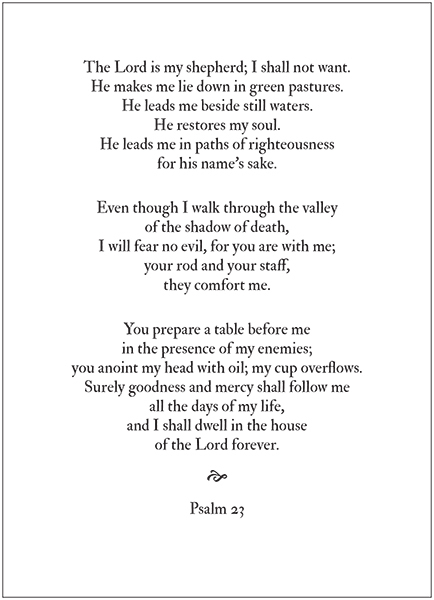 Psalm 23 is printed on the inside left side (click “View Inside Text” under the picture), leaving the right side blank for personal correspondence. The stained glass pictured here is from Redeemer Lutheran Church in Fort Wayne, Indiana.